SCO is dedicated to bringing the magic of opera, musicals and other classical works to audiences. The company performs prestigious concerts and regularly stages a full opera. 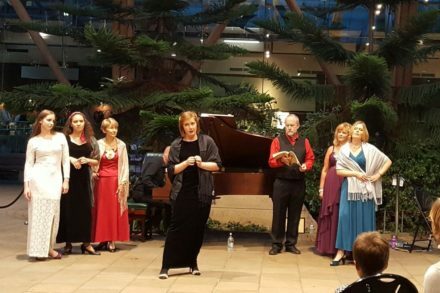 We offer a rare opportunity for singers, especially students and graduates, to enjoy and gain experience of an operatic repertoire, supported by expert instruction. Our next production - an entirely new opera "Donna and her Mobile" created by members of SCO and Musical Director Robert Webb is on stage at High Storrs School from Thursday 2nd to Saturday 4th November. Visit our website for more information, or contact us: info@sheffieldcityopera.com or call 07538 03080.